• Next Tuesday night’s ‘X Factor’ final looks like being an incredibly camp affair, with Kylie Minogue confirmed to perform alongside sister and judge Dannii Minogue for the first time on Australian TV in almost 30 years. The duo will sing their disco-tastic Christmas track ‘100 Degrees’, lifted from Kylie’s just-released Christmas LP. • ‘100 Degrees’ is one of a number of new songs rolling their way to media this week. Also out and about are the new James Bay single ‘If You Ever Want To Be In Love’, Troye Sivan’s latest ‘Youth’ and the new one from Alison Wonderland; ‘Already Gone’ (featuring Brave & Lido). As always, keep your eyes peeled on our FACEBOOK page tomorrow for a more comprehensive list of the new stuff. • MTV’s Beats & Eats in the surrounds of Parramatta Park this Saturday has just got a little more exciting, with the addition of Dawin, Didier Cohen and Will Singe to the line-up. They’re joining Havana Brown, Savage and Jesabel on the bill, with an “international headline act” to be announced shortly. And the best part? It’s all free. But you’ve got to register your attendance HERE. • Adelaide’s already all over the FutureSounds bandwagon, but the festival is ready to take over Melbourne too. With local performers including Godwolf, Aura and RKDA, along with Adelaide’s PNKFME, Lazer Blades and Only Objects, FutureSounds will take over Melbourne’s Revolver Bandroom on December 05. • It’s trance outfit Above & Beyond, but not as you know them. 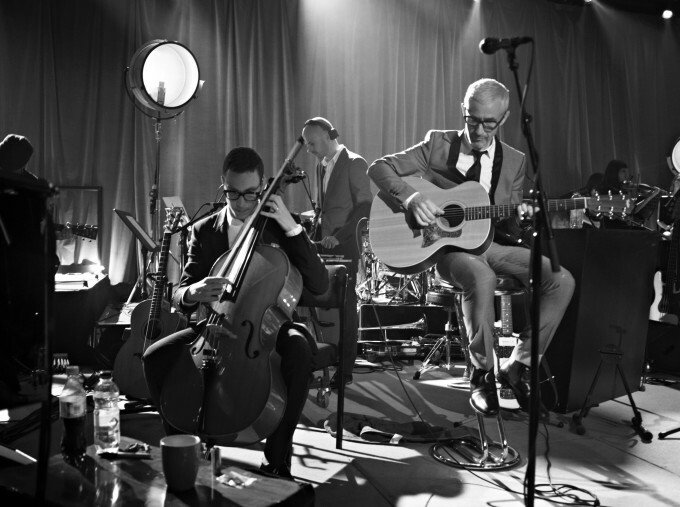 The boys (Jono, Tony and Paavo) will trip things back early in the new year with a stylish new acoustic album. But they’ll take things to another level with live performances across the planet, one of which will take place at the iconic Sydney Opera House on Monday June 06. Fans who sign up to the boys’ website will get first dibs on the tickets, which otherwise go on general sale from Thursday January 21. • Gurrumul is set to serve up something altogether different in the new year with the ‘TRIBE2tribe’ electro tour. Gone will be the acoustic and gospel numbers he’s become famous for; in their place a blend of electronic club sounds with traditional indigenous music; a style being dubbed ‘Electro Trad Music’. Gurrumul will play Max Watts venues in Melbourne (Feb 15), Sydney (Feb 19) and Brisbane (Feb 21) and tickets for all three are on sale now. • And finally in your mid-week edition of The Purge, Pusha T, who’ll release his sophomore album ‘King Push’ early in the new year, has confirmed a Sydney show as part of his visit early in the new year. He’d already confirmed for Melbourne’s Prince Bandroom on January 06 and The Met in Brisbane on January 07, but the Metro Theatre in Sydney will now be bouncing to his sounds on Tuesday January 05. Tickets are on sale this Friday from 2pm AEDT.